Quickly overwhelm targets with the speed of motorized dart blasting! 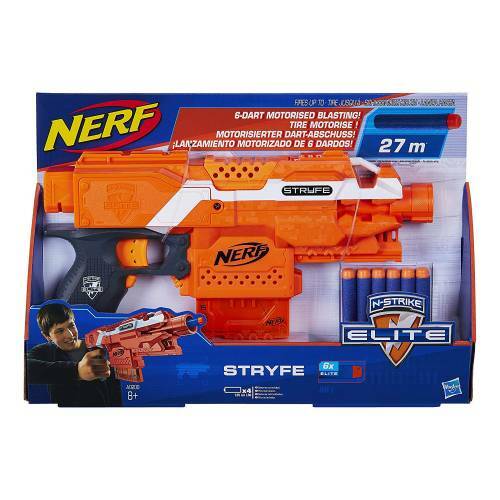 The Nerf N-Strike Elite Stryfe blaster is a 6-dart dynamo that lets kids launch darts with 1-handed blasting. 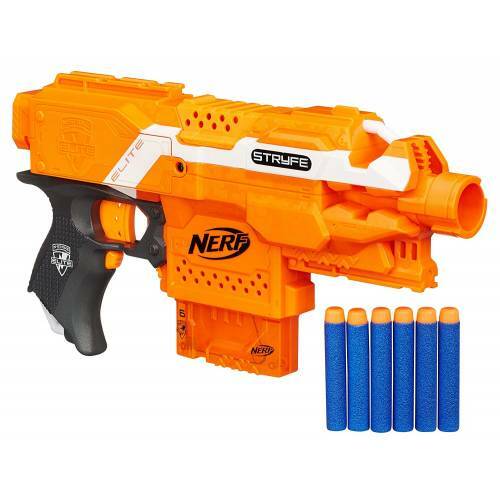 Hold down the acceleration trigger to power up the blaster’s motor, then take aim and unleash darts with rapid speed. Reload fast with the quick-reload clip that holds up to 6 Elite darts. 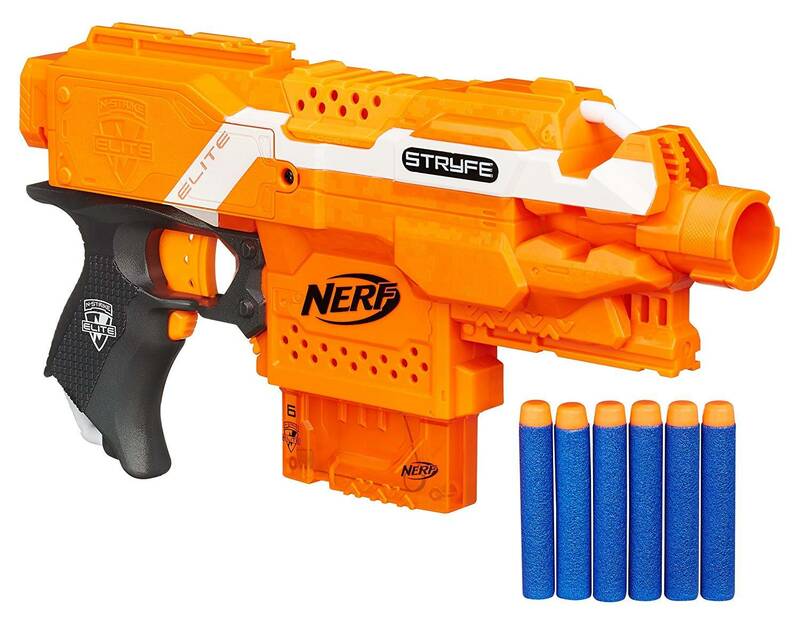 The Stryfe blaster has a compact size that allows for mobility on the battlefield and makes it a handy blaster to take along on any mission. Includes 6 Elite darts.